Mathias “Andre” Guerard was born in Togo, West Africa. He spent most of his childhood growing up in Togo and Ghana, West Africa. While understanding the struggles of the under privileged students he volunteered providing tutorial services for students both in Togo and Ghana. In the summer of 1994 he encountered the presence and love of Jesus, which propelled him to surrender his life to and accept Jesus Christ as his Lord and Savior. However, it was not until the year 2000 that he got involved in church while receiving his academics in Ghana. He found that the passion of Christ kindled and grew in his spirit as he dedicated himself to learning the Word of God and emerging into fasting, prayer and worship. His deepest desire was to be in prayer. Many were delivered from demonic oppression as a result of his aggressive prayer ministry. While serving under the covering of Apostle Zepherin of Ministére Evagelique Jesus le Sauveur he was affirmed as being in the office of the prophet. He was also one of the founders of Maison de Témoignage church in Togo and served as prophet and did the work of the evangelist. In addition, he was a Board Member of International Council for Evangelism and Salvation. On October 23, 2001 the Lord spoke to him saying that he will go to the United States where he will preach and teach the Gospel of Jesus, meet his wife named Crystal whose father was a pilot and will establish a church that shall be a non-traditional with a foundation on prayer and the prophetic. It happened as the Lord said. He came to the US in July 2002 and became a citizen in March 2010. 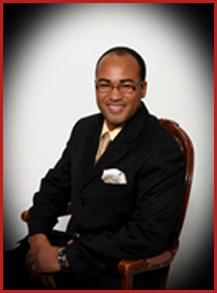 He served at Faith Deliverance Worship Center (FDWC) under the covering of Apostle Eric F. Ricks and was ordained as a prophet. He met Crystal and her daughter while serving at FDWC and later married Crystal in July 2007. Together they have three beautiful children Angela, Victoria and Samuel. He and his wife came together knowing that their union was just a small part of the will of God. In the same year the spirit of God lead him and his wife into a time of extend praying and fasting. It was during that time that the Holy Spirit began to reveal the details and birth the ministry of HOPIM. Prophet Mathias Andre Guerard now pastor HOPIM under the prophetic and apostolic anointing and flows in the demonstration of the power of the Holy Spirit.